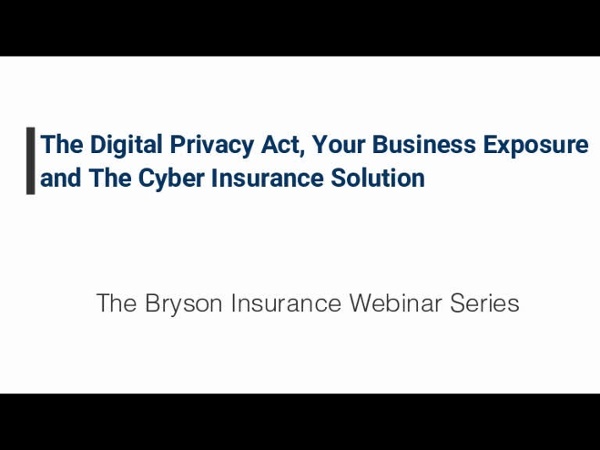 The Digital Privacy Act is Changing is your Business Prepared? It is a challenge to wrap our heads around the threat from the online digital world. What we see is a screen and know it is connected, somehow, to the world wide-web. Going down a layer from there - we are aware of digital gatekeepers, security walls, encrypted information packets and more... and this just scratches the surface. Even with all of this information, we are left confused with how it all works. What is easiest for many is to put our heads in the sand and hope a cyber breach doesn't happen to us. But with the impending changes to the Federal Government's Digital Privacy Act (Nov 1), this is not a workable strategy anymore. One in every two small-to-medium sized businesses have experienced a Cyber Attack. Over 60% of those businesses that were successfully breached were out of business within six months. "You may be familiar with newsworthy cyber hacking into companies such as Target, Uber, Sony Pictures and Equifax. Although it may be tough to identify with some of these extremely large, multinational companies with sizable amounts of information, the risks of a Cyber incident are certainly transferable to any Canadian business in any industry." ~ Kyle Gray, Ridge Canada. "Effective November 1st, 2018 under Canada’s new PIPEDA rules, domestic and foreign organizations subject to PIPEDA will be required to (1) report privacy breaches to the Office of the Privacy Commissioner of Canada, (2) keep records of privacy breaches, and (3) notify individuals about privacy breaches when there is “a real risk of significant harm to an individual.” - Government of Canada March 26, 2018 announcement. What happens IF you or your company suffers a cyber breach? How does your company plan to respond? Cyber insurance has coverage to not only protect but also support you. Beyond first and third-party expense coverage, Cyber Insurance provides an array of services that may prove invaluable for a small-to-medium sized company. These services include a breach coach (a lawyer that provides step-by-step advice), legal defence, public relation support, IT forensic services, credit monitoring and customer notification. Focus on growing your business and let your cyber insurance coverage focus on dealing with the ramifications of the breach.